Black Friday is practically here and you’re eager to get out there and take advantage of some major deals. Before you head out on the busiest shopping day of the year, here are a few very important Black Friday blunders you’ll want to make sure you avoid! Door buster sales aren’t always what they seem. Be sure to read the fine print in the ads. Many times, retailers advertise, “While Supplies Last;” “Brands and Availability May Vary;” “Limited to 5 per Store.” Door busters are a way for retailers to get you in the store, because they know once you’re in the store it’s very likely that you will buy something even if the door buster item sells out or isn’t what you thought. Don’t be fooled and lured by misleading promises. Instead, zero in on the stores that carry the item you want at the best possible price and build your game plan around acquiring what you really want, door buster or not. When stores offer such outrageous sales like 50%, 60% or even 70% off, it’s very rare that you are actually saving that much on your purchase. Instead, the original listed price is often inflated to a price that no one would ever pay and that they would never sell at that amount. When a discount seems too good to be true, it probably is. Therefore, try to avoid getting swept up in really good marketing messaging and be diligent in scouting the best deals for the items you seek to purchase on Black Friday. This is more common than you might think. A store may advertise a quality 60 inch television at an irresistible price, but when you get to the store, they don’t have the brand in the flyer. Instead, they are selling you a lesser brand for the advertised price. This is what is known as “brand bait and switch.” Retailers lure you in with a promise, only to offer you something else once they have your attention. Remember that price isn’t everything. Don’t compromise on the quality of your purchase, especially for the more expensive items like electronics. These tend to be the most common brand bait and switch situations. E-commerce sites can be sneaky and unfair. Price-steering is when certain e-commerce sites charge some customers more for the same item. According to a study by computer scientists at Northeastern University, many major e-commerce sites personalize prices per customer, depending on what software they use or their browser history. To avoid paying too much for an item, you can compare the online price to the in store price, as well as search for items online using different web browsers. Targeted pricing is similar to price steering in that it tends to be an online shopping phenomenon. Targeted pricing is influenced by geographical location and your past purchasing history. The data collected from your online shopping history allows retailers to price items based on how much they think you would be willing to pay for it. The best way to not suffer from this sort of price discrimination on Black Friday (or any other day) is to clear your browsing cookies and history on a regular basis, or at least before you start your online Black Friday or Cyber Monday shopping. If you’re not comparing pricing for your wish list items, you’re doing yourself a huge disservice. PriceGrabber.com, CNet.com, FatWallet.com, and DealCatcher.com are just a few sites you can use to compare pricing across all retailers for a single item. It makes it very easy and efficient to find which store is offering the best deal for the items you plan to purchase. And let’s not forget the extra savings you can enjoy just by using certain shopping portals! 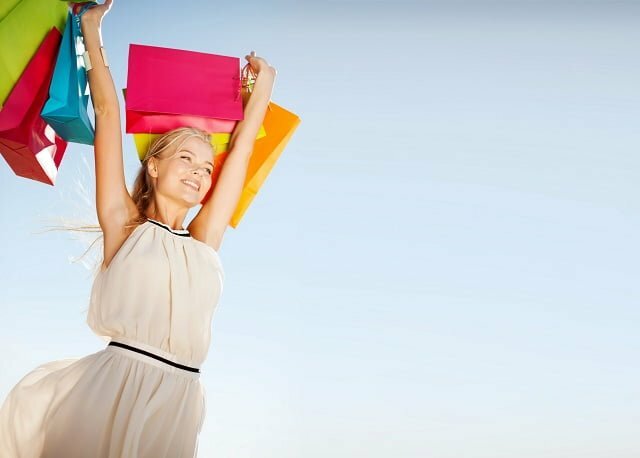 Ebates.com is an example of a shopping portal that offers you additional savings and cashback just for shopping through their portal. You are still able to use coupons and take advantage of the same deals, but you get a little extra than other shoppers who purchase through retailer websites. Credit card companies also offer similar shopping portals and may offer you additional rewards for using them, too. For extra savings, these shopping portals are worth looking into to increase your purchasing power. This may seem obvious, but it is always a good reminder to search for additional coupons online before making your purchase. While you’re standing in long lines this Black Friday, why not hop online and see if you can find an additional coupon for the store you’re making your purchase in? It will keep you occupied and you may even walk away with more savings! At The Money Guy Show, we treat credit cards like cash. Use it, but only if you can pay it off when your statement comes in. So with that being said, use it and take advantage of your credit card cashback rewards program. If you can earn an additional 1% to 5% for using your card for purchases, that helps your hard earned money go further and extends your Black Friday savings towards future purchases. Lastly, one of the biggest Black Friday blunders is buying what you don’t want or need. It can be easy to get caught up in the shopping frenzy, but it’s OK to walk away from a purchase. The best way to avoid buying items you don’t really want is to plan your Black Friday shopping ahead of time. Make your list and then head out to get those items. If you see something you like that you want to splurge on, there’s nothing wrong with that, but keep your spending under control so you can really benefit from saving on the items you really want this season.